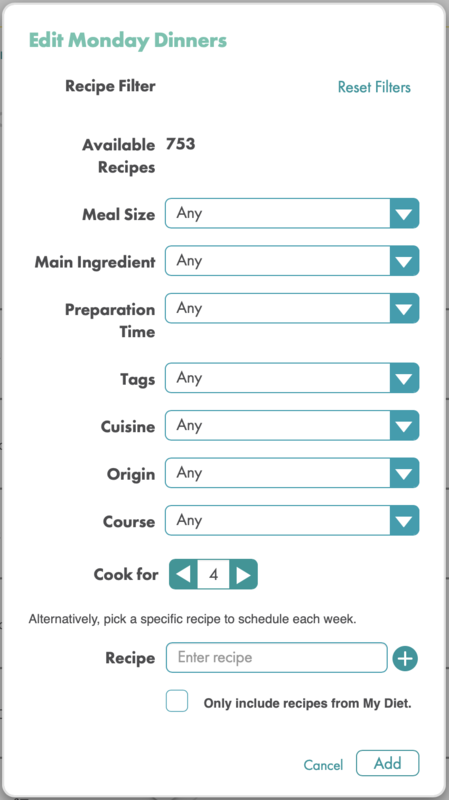 With our amazing Advanced Filters, you can fully customize your Meal Planner to meet your specific scheduling needs. Visit Settings->My Meal Plan and click “Next” to advance to the My Schedule page. 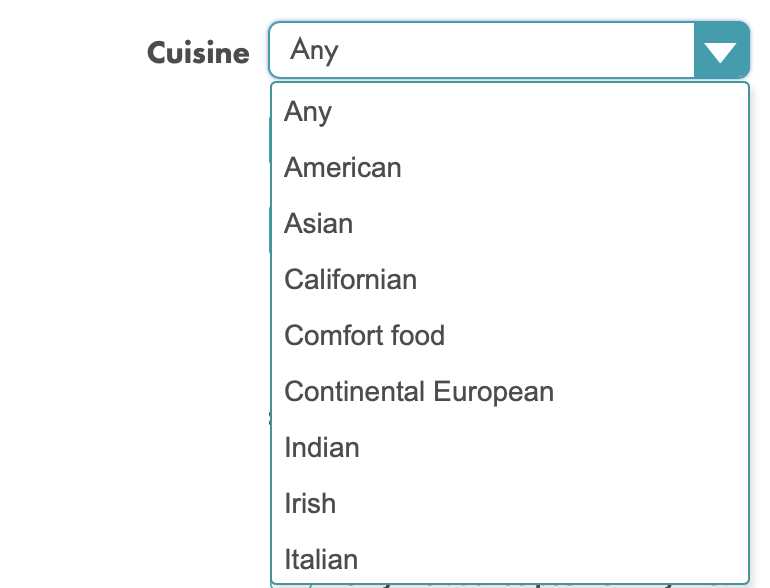 Click on any dropdown to see all the options you have for customizing each meal. 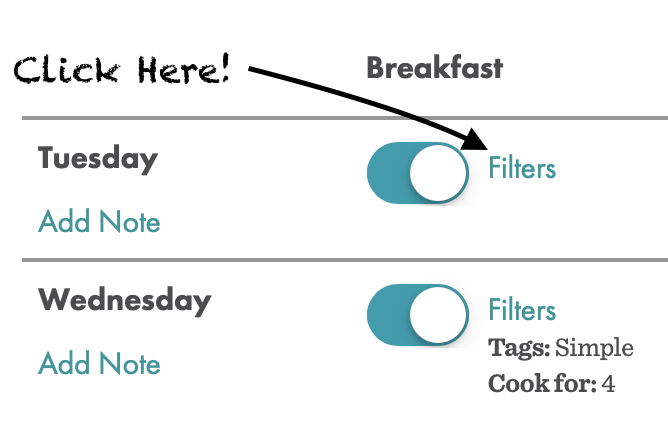 Let’s take a look at some of the filters you can use to totally personalize your schedule to get the types of meals you need on your Meal Planner. You can choose a different main ingredient each day to keep variety in your weekly plan. For example, you can choose chicken on Monday, pork on Tuesday, beef on Wednesday, etc., so you never get bored with your meals. This is also great if you want to have a Meatless Monday. Just select Main Ingredient->Vegetable for Monday’s dinner to schedule a vegetable entree. 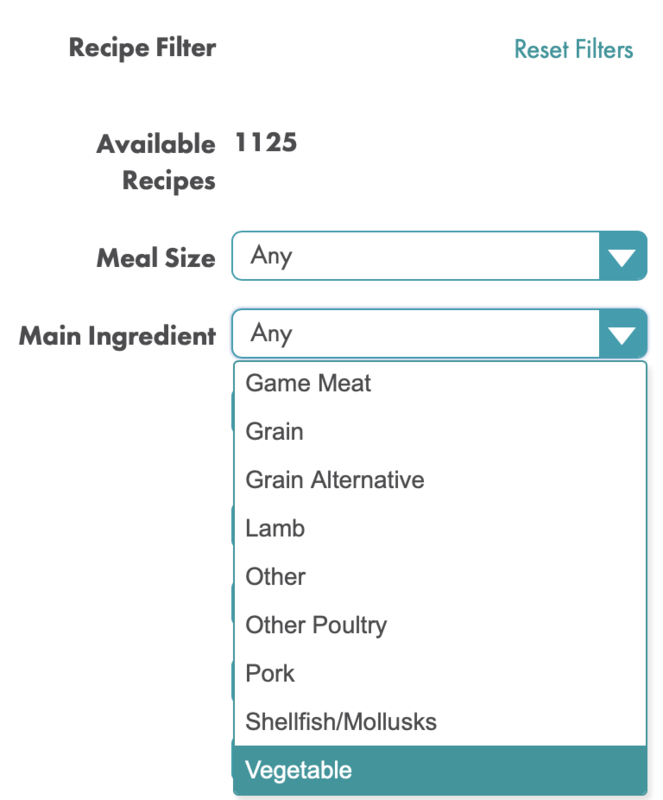 The Tags dropdown will allow you to schedule a slow cooker meal or pressure cooker meal, if desired. 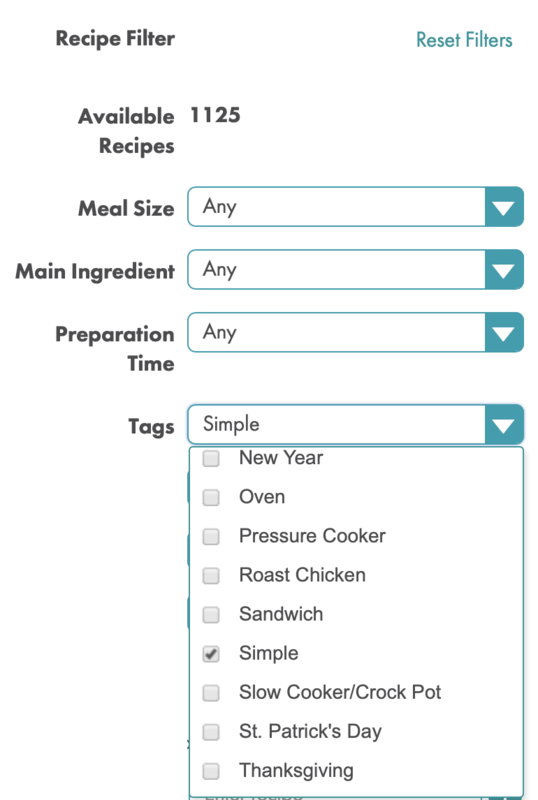 We also have a “Simple” tag that you can use to schedule meals that take less time to make and have fewer ingredients. 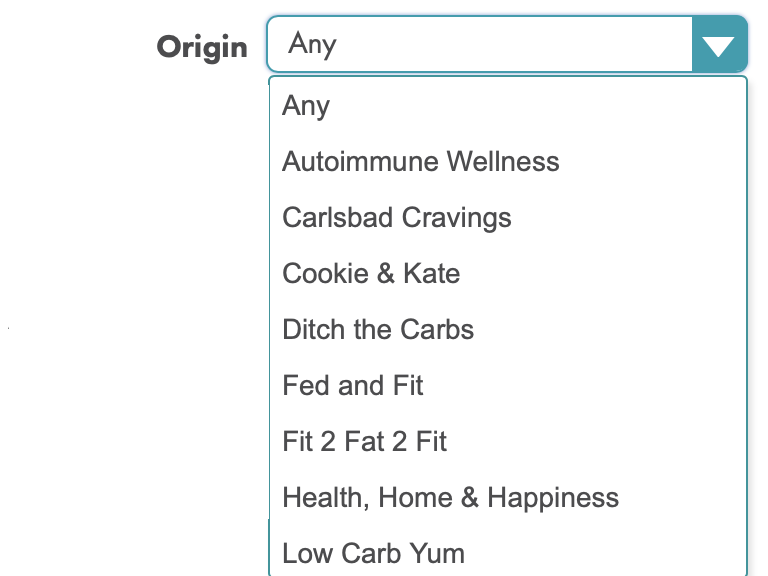 There are many tags to choose from, and you can even create your own to schedule the types of meals that work for you! Need a portable lunch? Use the Course dropdown to schedule a soup or salad, or create your own “portable” tag to use. If you normally cook for 4 but only cook for 2 for lunch, or you want to increase your serving sizes to plan for leftovers, you can adjust the “Cook for” number to reflect the number of servings you need for each meal. You can also choose a specific recipe for breakfast every Monday, for example. Begin typing the name of the recipe you would like to schedule and then select it from the dropdown list. (Be sure to check the box to “Include recipes from within My Diet” if you only want to see recipes that meet your dietary preferences. This is particularly important if you are following a special diet like Whole30 or AIP and want to be sure you are staying compliant.) Click to add this recipe to your weekly schedule. Click on “Done”, and you should now see this recipe appear in the selected meal slot for that day. 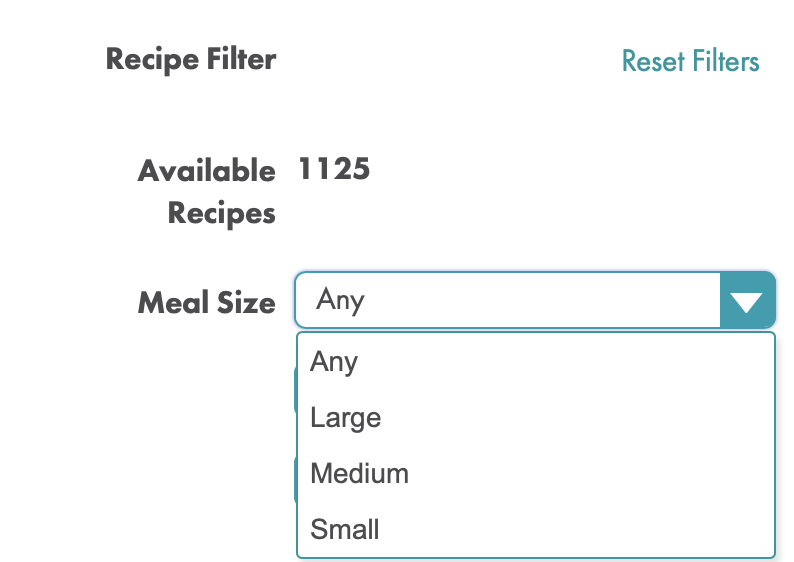 As you select filters to customize your plan, keep an eye on the “Available Recipes” number. The more filters you choose, the lower that number will get, so choose the fewest filters possible to meet your needs. 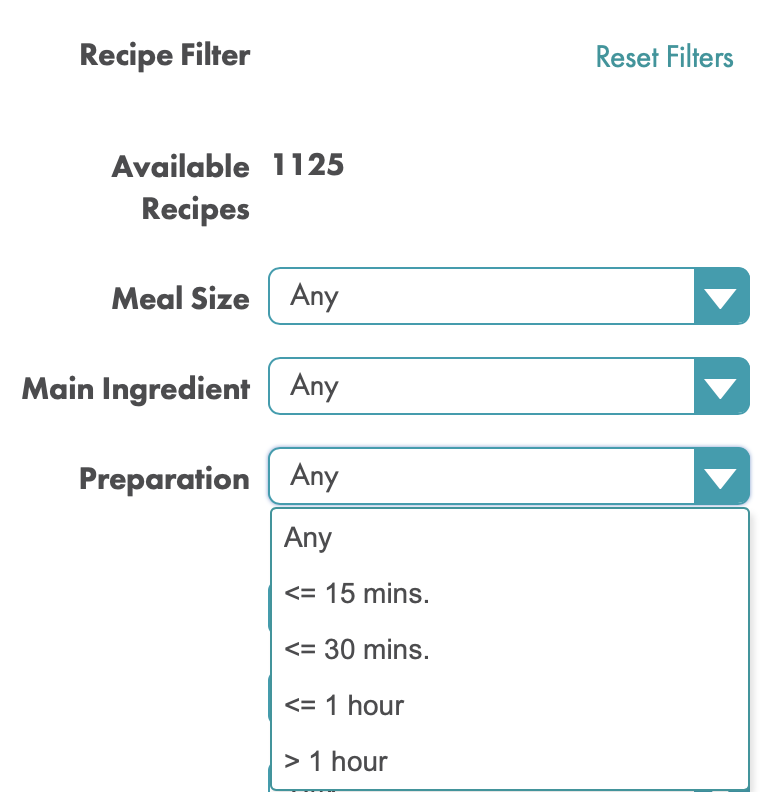 If you no longer wish to use the filters you have applied to a meal, you can click on “Reset” to remove all filters for that meal on that day. 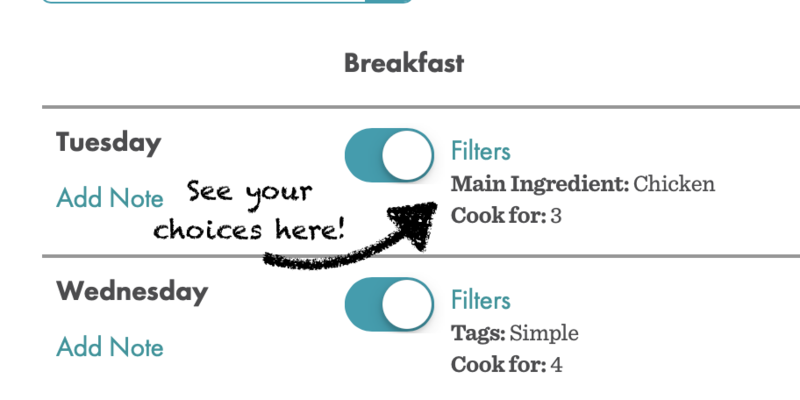 Click “Next” to apply your changes and feast your eyes on your new fully personalized Meal Planner!